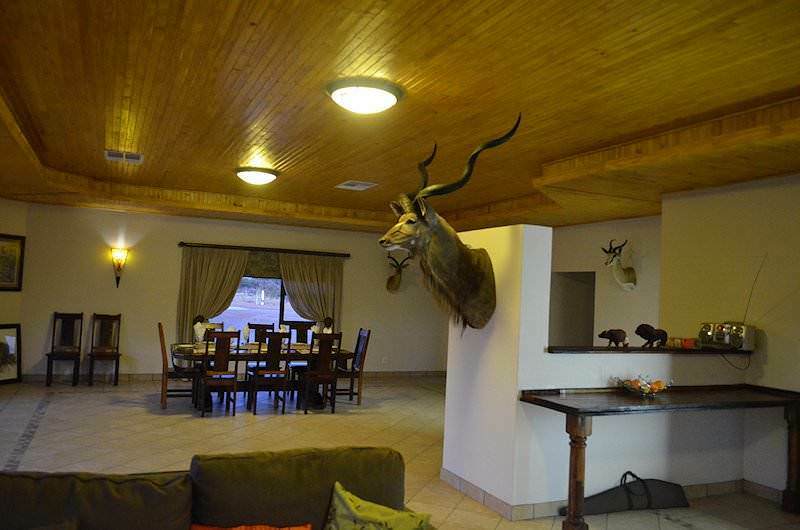 This lodge is located in the most northern region of the North West province of South Africa. 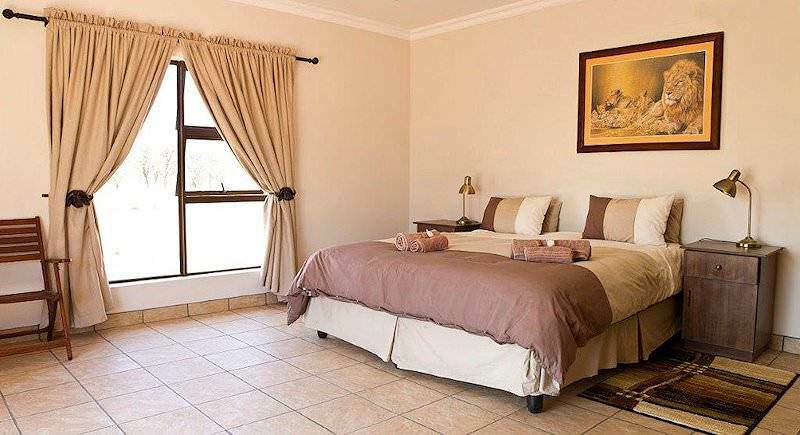 It is situated in the southern portion of the vast Kalahari Desert just a stone's throw from the Botswana border. 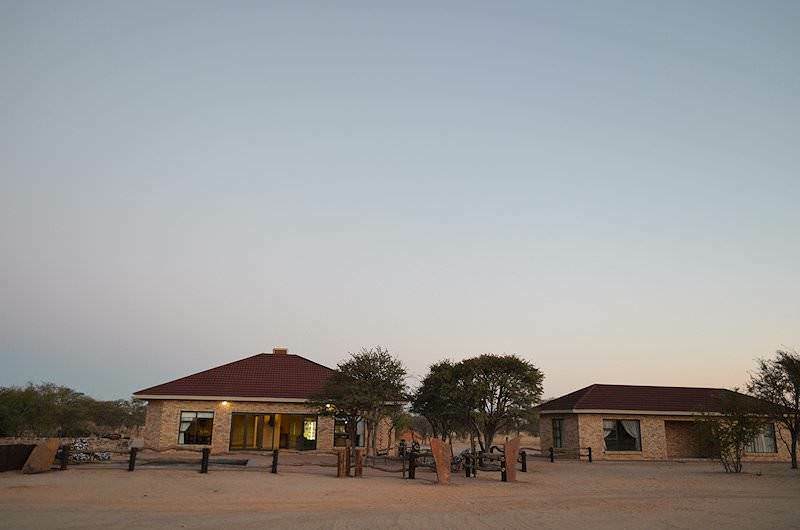 The lodge has been established on a large game concession of some 13 000 acres and features its own airstrip. 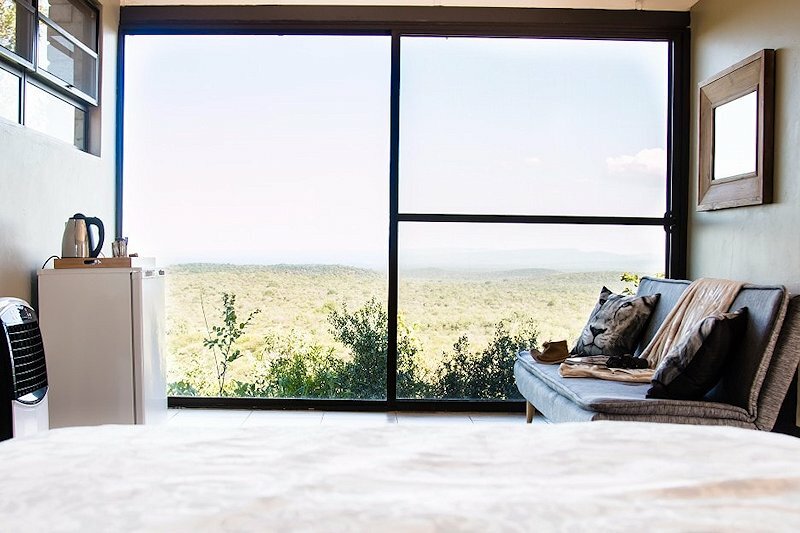 As such, it is most easily accessible by charter airplane. 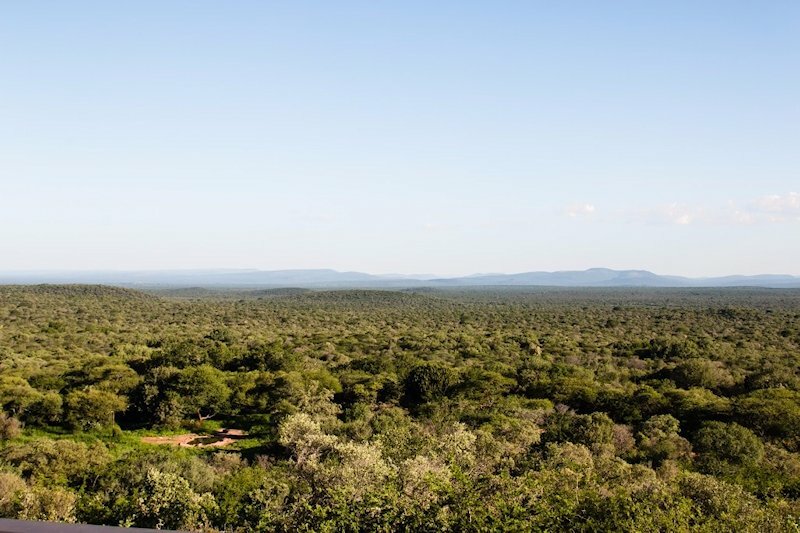 The surrounding area is typical Kalahari bush country - extremely remote, and teeming with all manner of African game species. 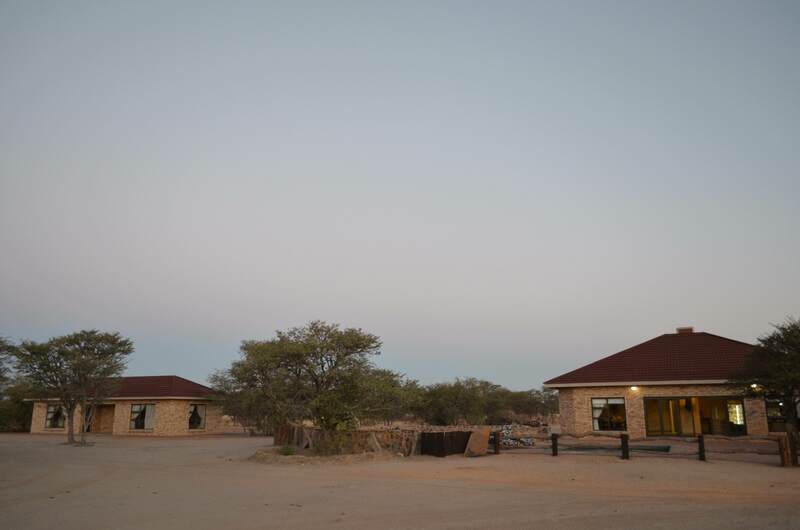 The nearby town of Pomfret features a small airport. 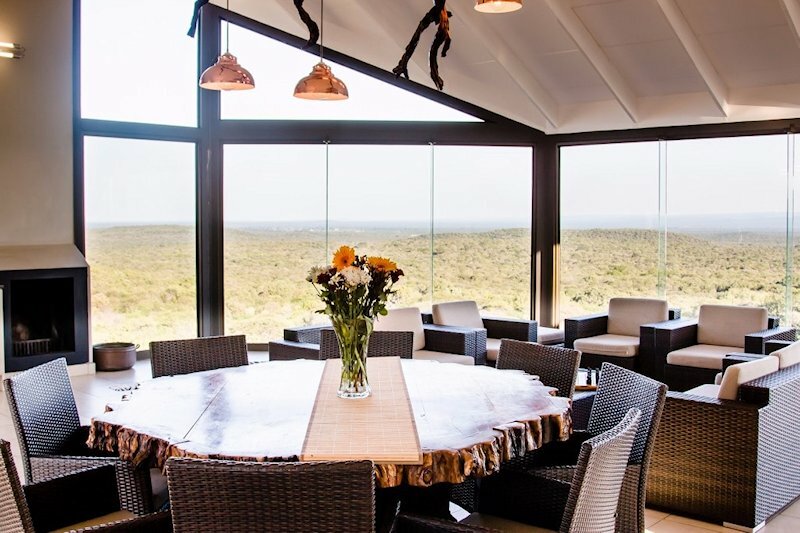 The nicely appointed and comfortable lodge is centrally located on a ranch surrounded and protected by high fences, as lion and other dangerous game species freely roam this vast concession. 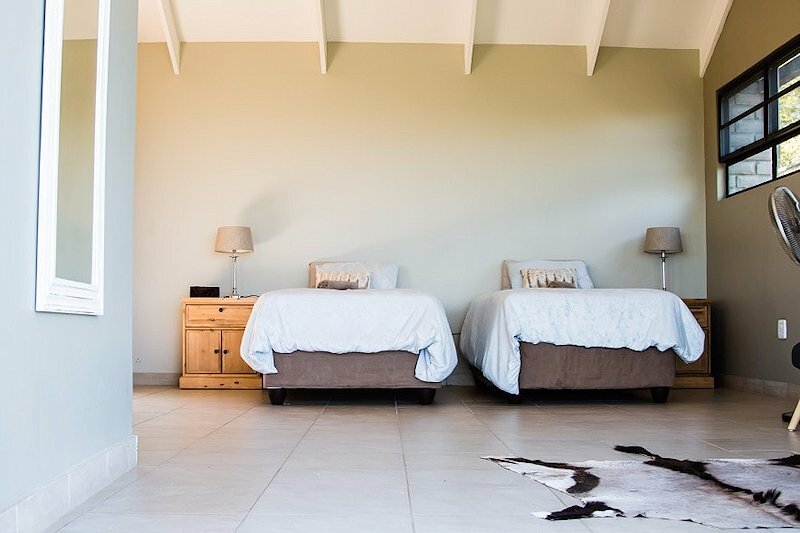 Accommodations consist of chalets under thatch and feature en suite bathrooms. 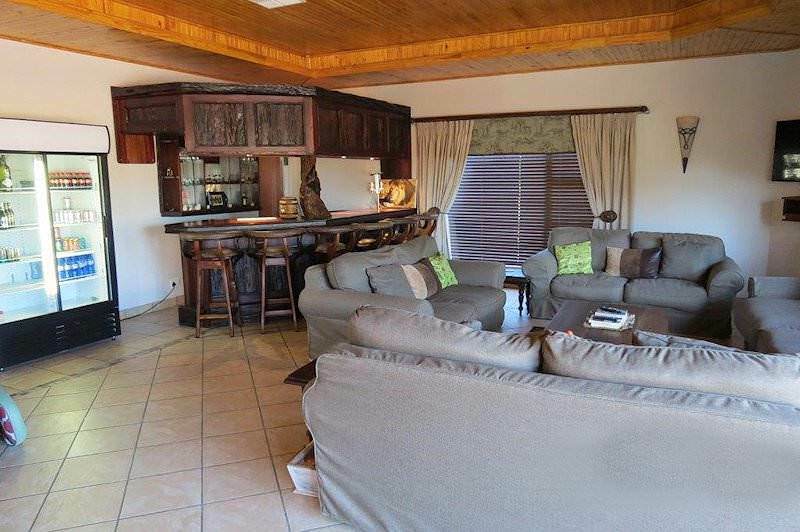 The main lodge features a well-appointed sitting area, bar, and dining area. 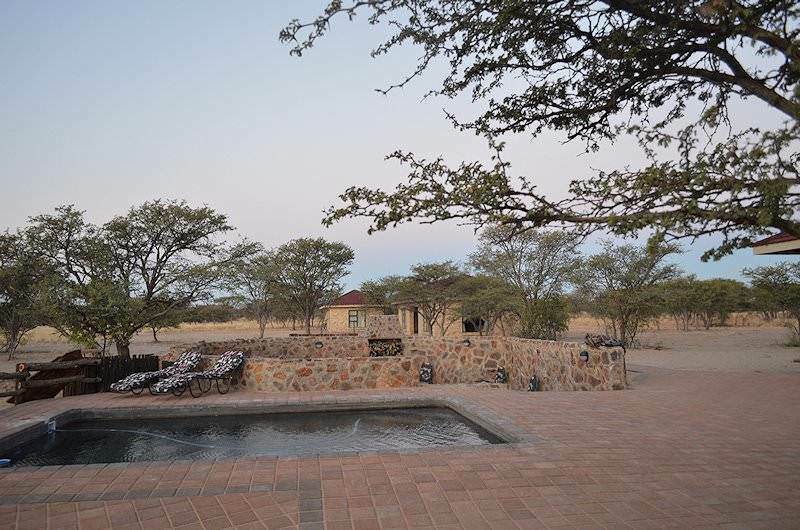 A beautiful patio and fire pit lie just outside the bar area and the swimming pool is perfect for cooling off after a hard day's hunt trekking through the Kalahari sand. 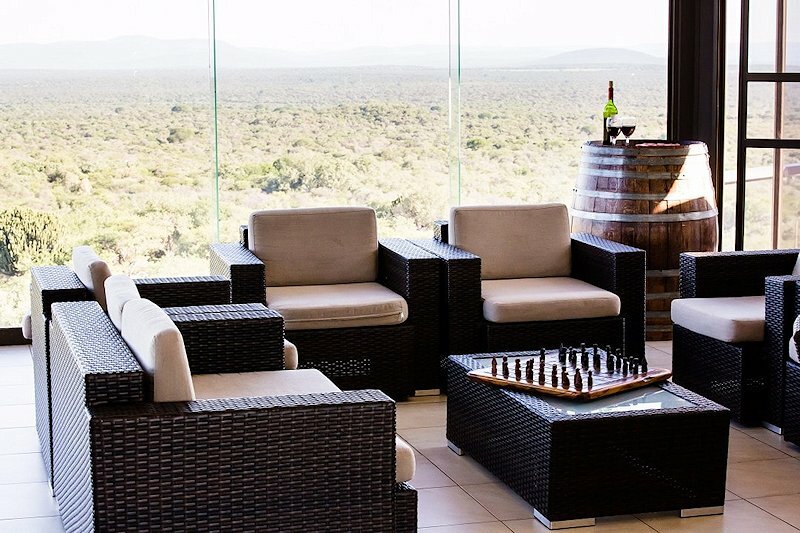 The lodge is professionally staffed with food, drink, and services of the highest quality. 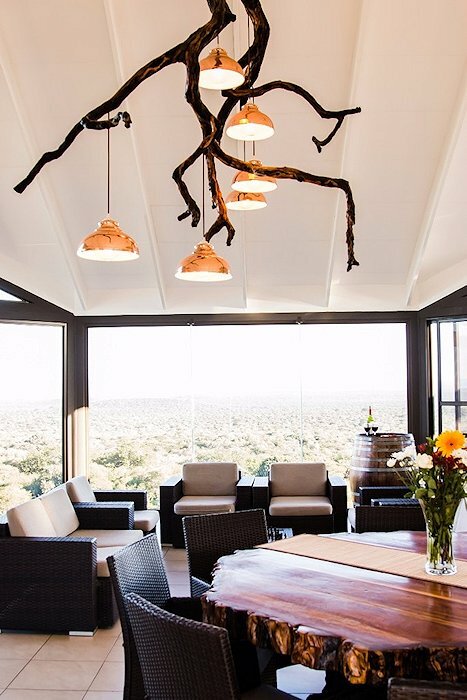 It is a virtual oasis for the hunter in the Kalahari. 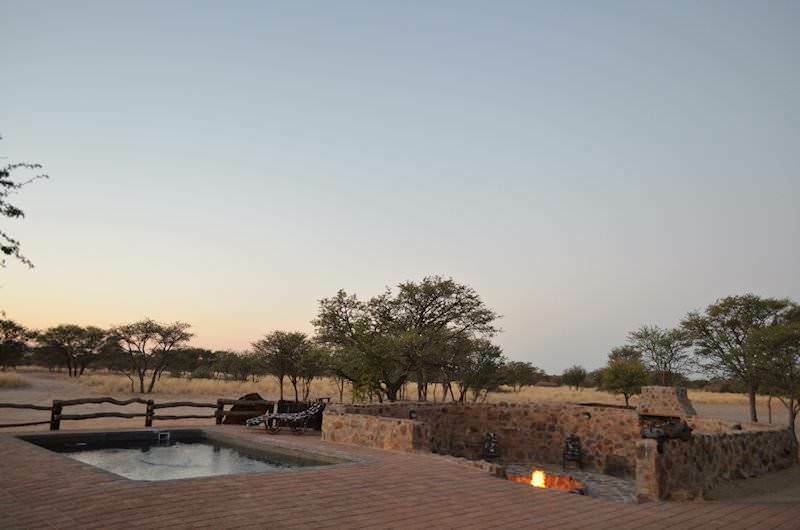 The hunting camp that we use near Zeerust in the North West province of South Africa is one of the most luxurious properties that we include in our hunting safaris. 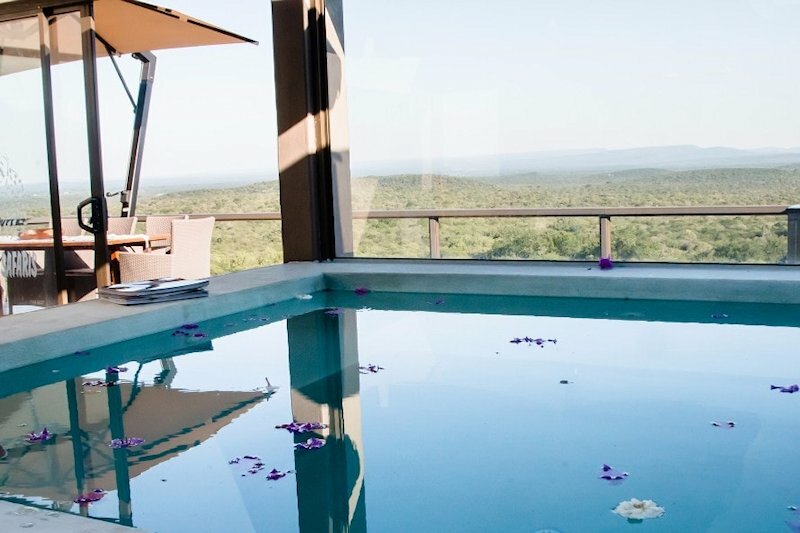 The camp's four en suite rooms are exceedingly sumptuous, even fitted with private plunge pools for hot summer days. 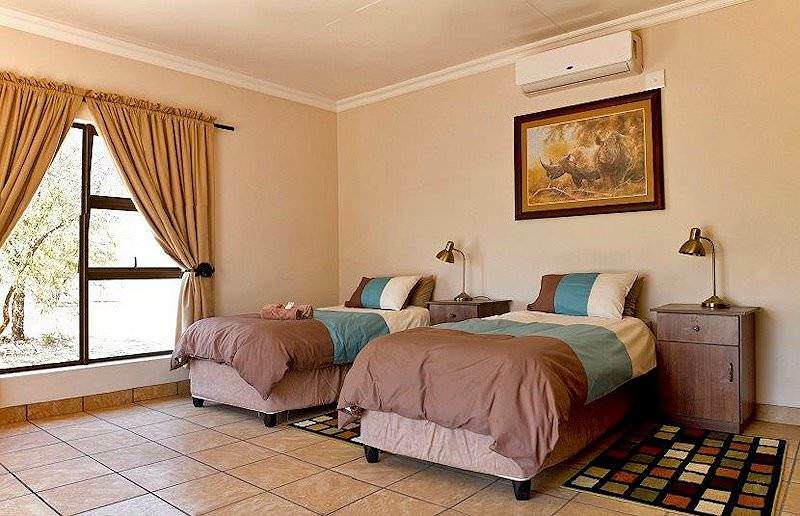 The rooms are impeccably furnished, with modern fittings, opulent bedding and amenities like heaters, coffee stations. 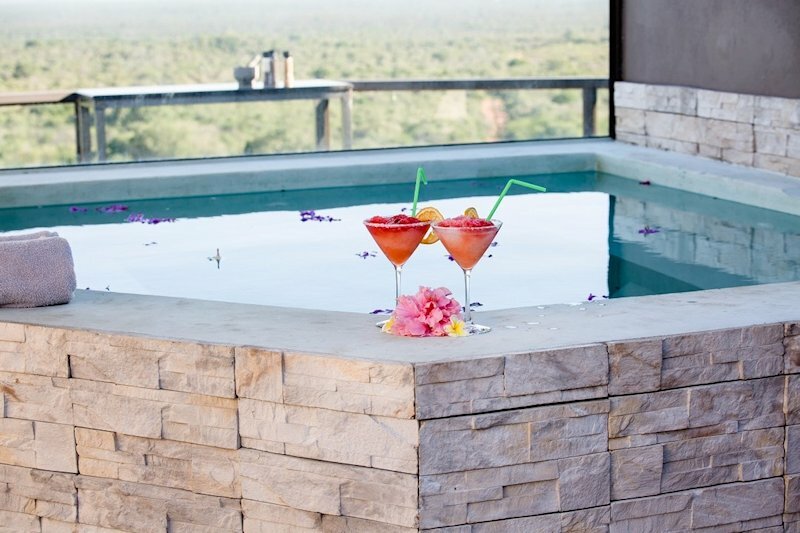 Additional facilities include a main swimming pool for a social swim or unwinding poolside with a cocktail or refreshing beverage. 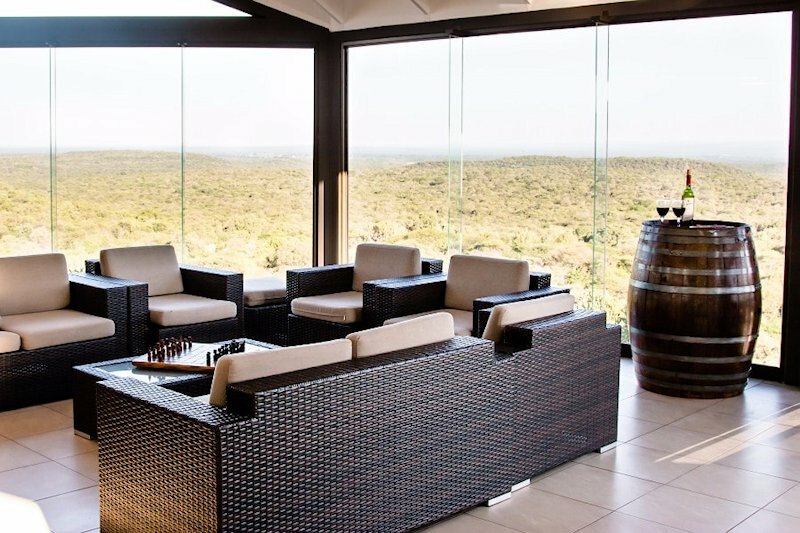 All the rooms are enhanced by sprawling views across the bushveld, including the glass-walled lounge and dining room. 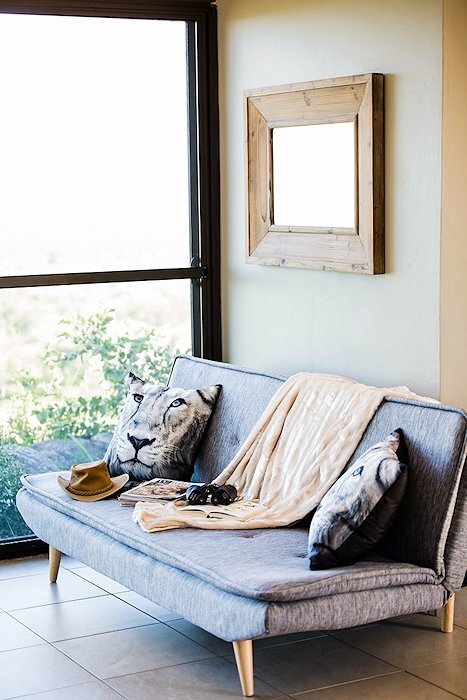 Here you can relax on the plush furniture with a book or cozy up to the fireplace at night. 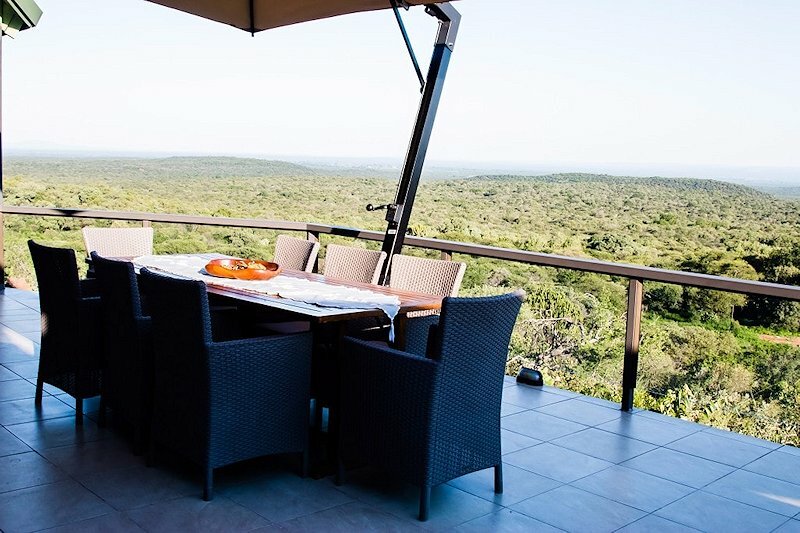 The most panoramic vistas may be enjoyed from the patio, which is also the ideal location to enjoy mealtimes from breakfast to dinner. 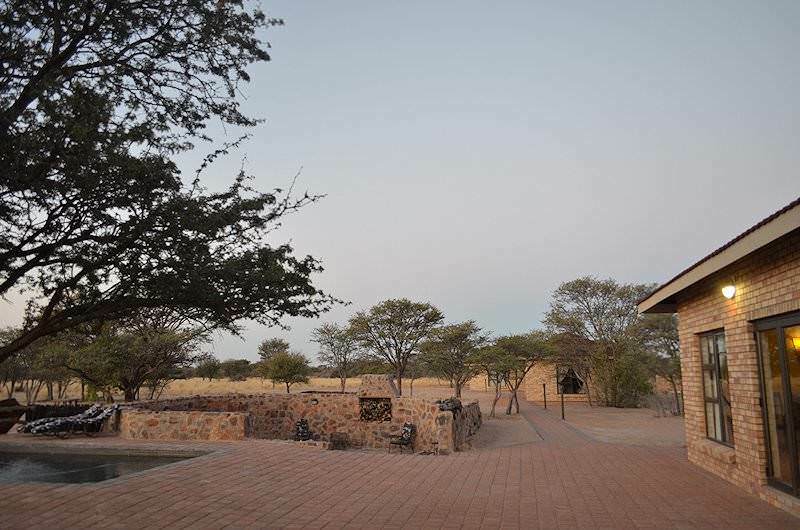 There is also a basic boma area with a fire pit and barbecue facilities for a festive post-hunt 'braai'. 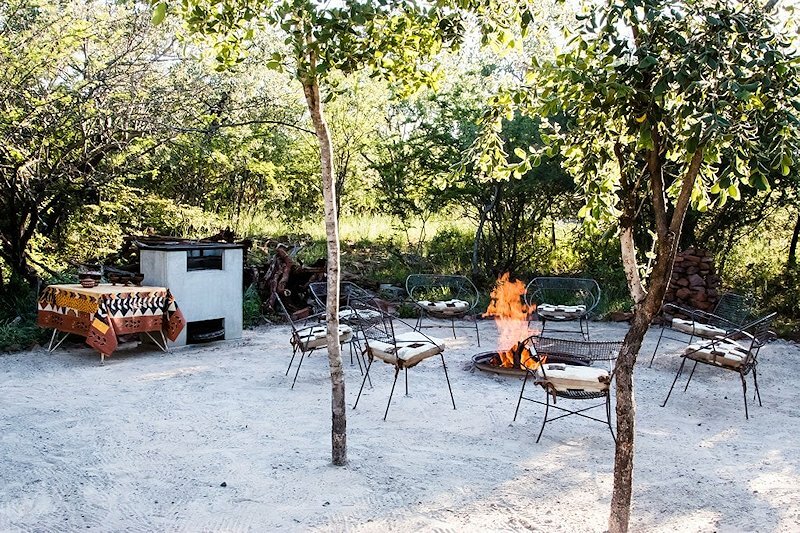 This camp is perfect for hunters with a taste for the finer things in life.